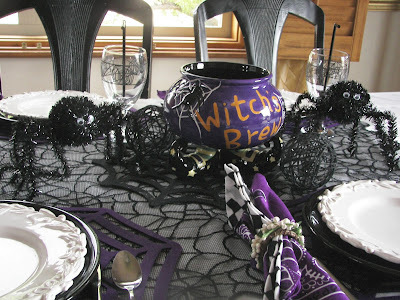 ZOULAH welcomes you to Red Couch Recipes where today she shares a simple little craftie from her witchie childhood. She is sure that some of you remember making yarn balls -- now that she is older and more sophisticated she calls them yarn spheres. Zoulah has set several around the Red Couch Home. She used black ones in her Spider Tablescape. Zoulah says that for this little craftie all you need are things that are readily available. You will need yarn, balloons, flour, and water. 1. Make a wheat paste. Mix 3 parts water with 2 parts flour in a pot. Heat to a boil stirring occasionally to remove the lumps. After the paste boils, allow it to cool. 2. Cut yarn in lengths long enough to wind around the ball with excess, but not too long so that it is hard to dip the yard into the paste. Prepare a large amount of them. 3. Blow up a balloon of the appropriate size for each ball you want to make. You can make them large or small. For these Halloween spheres, I used water balloons. 4. Dip string or yarn in the cooled paste and then wrap it around the balloons. 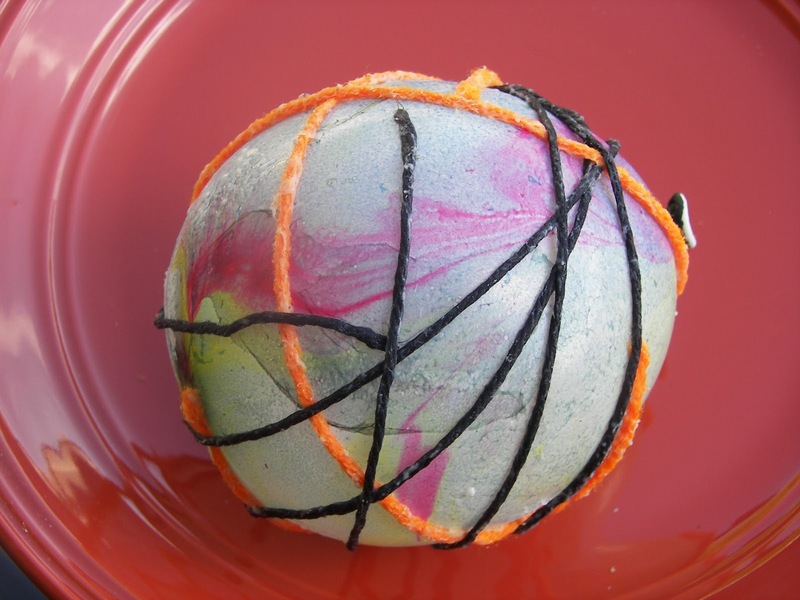 Go around many times, in different directions, until you have covered the basic shape of the balloon, but be sure to leave gaps if you want to make a see-through string ball. Also be sure that the ends of the string are firmly anchored, with wheat paste, on the balloon. Zoulah's Note: As you dip the string into the paste, make sure you try to smooth out the yarn with your finger, taking off excess paste. 5. Allow the string to dry thoroughly; 24 hours should be enough, unless your string was extremely thick or wet. 6. Pop the balloons if you want to get them out right away. When the balloons are gone, you should be left with a see-through string ball. Zoulah's Note: Make sure the string is completely dry before you pop the balloon. DO NOT allow them to dry in the sun -- the balloons will lose their shape and so will the yarn sphere. 7. 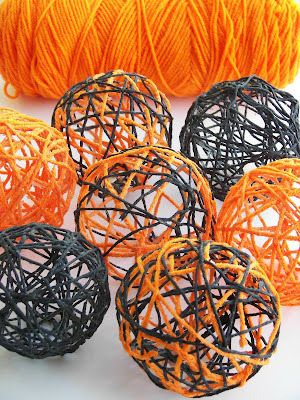 Using a toothpick or skewer, pick out excess dried paste from the yarn sphere. A yarn sphere in process. 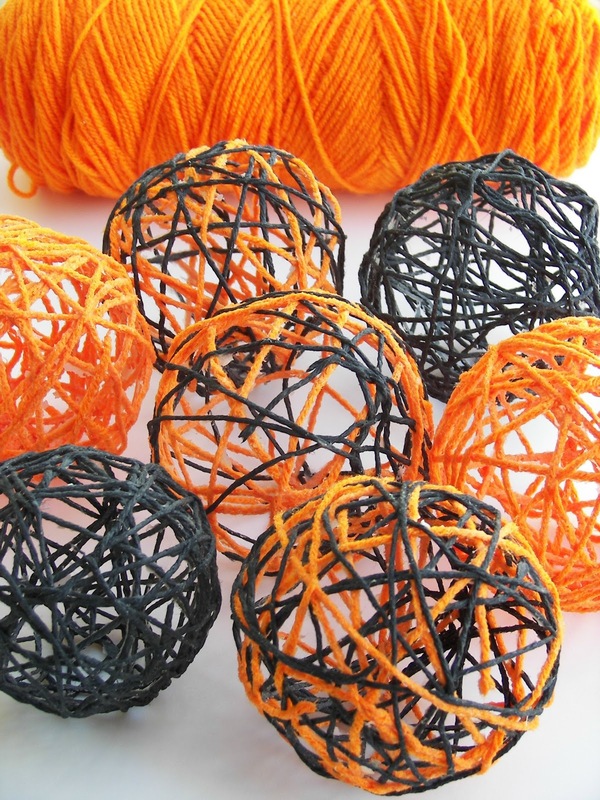 Zoulah encourages you to make some yarn spheres today. They are easy enough for a young child to do. Zoulah thinks these are great for parties or for events where you cannot find the right colors to do your decorating in. Cute blog, will have to explore it more. Love your Halloween things! I made something similar for my son's wedding you can see them here http://judysturman.typepad.com/in_his_grip/2011/09/wedding-post-3-more-details.html I really like yours in the Halloween colors. I love these! I think I need to make some for my mantle. I found you through Craft-O-Maniac. Thanks for sharing! That Zoulah is quite a gal - fashion, culinary arts and now crafts! Really fun and easy. I didn't even notice them on the table, but now I see them. Love them in the orange and black too. This is something Beaulah could teach the grandkids. Did you know that there is a rumor that Beaulah and Zoulah might be quads that were split at birth? Jean told me. She may be able to produce a photo as evidence! I remember doing this as a kid but had completely forgotten about it! Those are cute little orbs...I remember my kids making those when they were little...many, many years ago! So cute and so clever! I can see these in white yarn for Christmas so they look like snowballs spheres. Well done. These are awesome. I was just tying to figure out what to do with my leftover yarn from my halloween wreath! 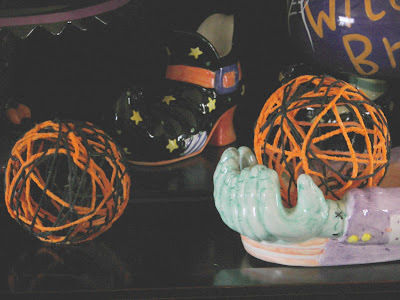 I love Zoulah's crafty side :) These would make great decorations for any event. I can just see them piled high in a bowl! Just featured this on my Facebook Page! Have a great day! my cat would love these...how cute! These are so cute. I love the idea to make these for events when you can not find the right colors to decorate in. So creative! I linked to you from Made by you Monday! You know, I have been wanting to make my own spheres. I love the look of them in a bowl for decorating. I had forgotten about this method. We used to do them as kids. They look so cute :) Thanks for sharing the tutorial. I remember making something similar when I was in school many MANY years ago. These are a fun addition to your Halloween decor. I remember making globes with balloons and paste and paper with my class. I had to be crazy, what a mess. 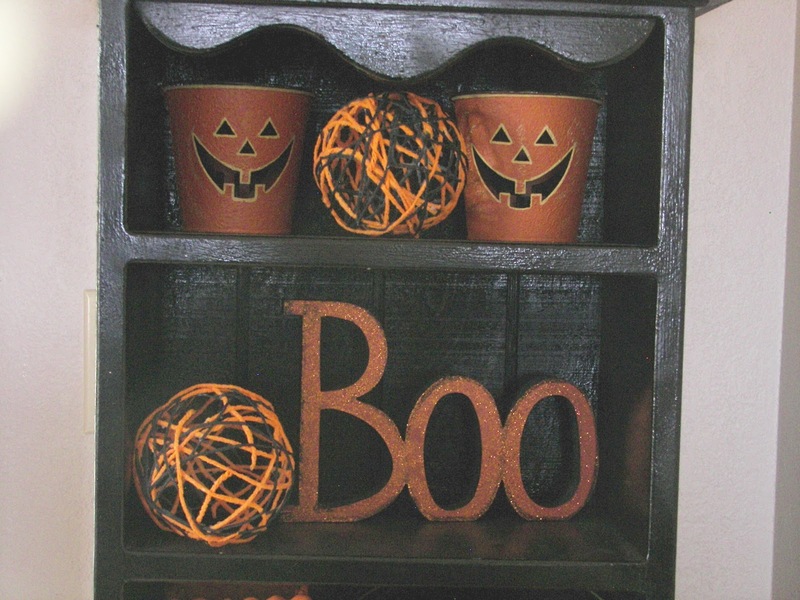 What an adorable and affordable Halloween decoration idea! Would be thrilled if you linked up this smart project to WWWW! I have never seen these made with a wheat paste? Interesting. I love the idea of making colored ones for the holidays! I've seen these as Easter eggs...so simple! I really LOVE your Halloween version! They look fabulous!! What a great idea! I used to do something like this for eggs for Easter...but this is even cooler. 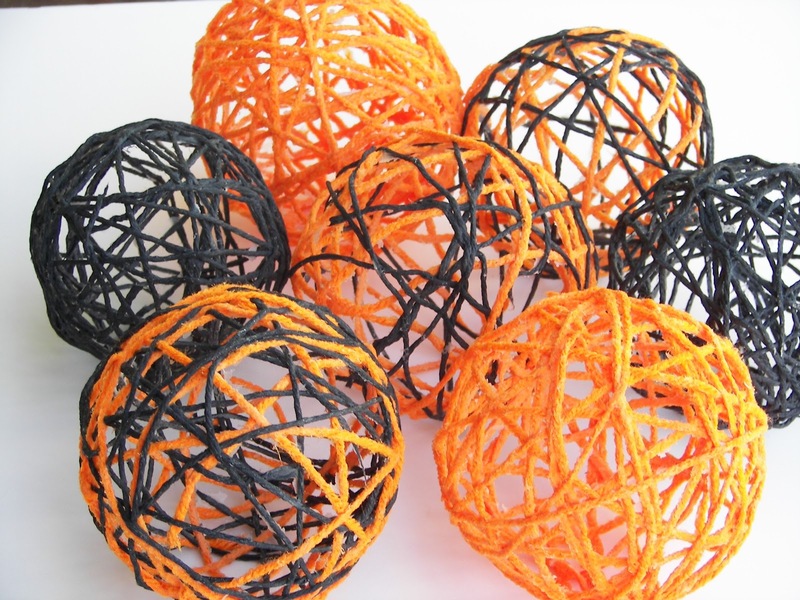 I think you could even rig up a chenille stem to make them look even more pumpkin-like! Thanks!